We collect information directly from individuals, from third parties, and automatically through the Transcription Discussion Board Platform. Account and Profile Information: When you create an account and profile on the Transcription Discussion Board Platform, we collect your name, contact information, and other information you provide, such as topics that you know about or find interesting. Your name, photo, and any other information that you choose to add to your public-facing profile will be available for viewing to users of the Transcription Discussion Board Platform. Once you create a profile, other users will be able to see in your profile certain information about your activity on the Transcription Discussion Board Platform, such as the questions and answers you post, topics of interest to you, the information you list as credentials, and your edits to Your Content. For more information about your choices for publicly displayed information, see the section below about Your Choices. Communications: When you communicate with us (via email, phone, through the Transcription Discussion Board Platform, or otherwise), we may maintain a record of your communication. Integrated Service Provider and Linked Networks. You can elect to sign in or sign up to the Transcription Discussion Board Platform through a linked network (i.e.Facebook or Google), and you can connect your existing Transcription Discussion Board account with certain third party networks like Facebook, Twitter, and LinkedIn (each a “Linked Network”). If you elect to sign up through or connect a Linked Network, we receive a certain profile and account information about you from the Linked Network. These Linked Networks may also appear in your profile so that people can find you on these Linked Networks. The specific information provided to us by Linked Networks is determined by these third parties and may vary by network. In all cases, the permissions page for the Linked Network will describe the information being shared. You should consult their respective privacy policies for information about their practices. You may elect to use information from the Linked Network to populate your profile on the Transcription Discussion Board Platform and help you find and follow your contacts on the Transcription Discussion Board Platform. For information on your choices, including how to disconnect a Linked Network from your Transcription Discussion Board profile, see the “Your Choices” section below. You may also elect to connect and make and receive payments to and from us through third-party networks (“Integrated Service Provider”); if you do so, you will be allowing us to pass to and receive from the Integrated Service Provider, your login information and other user data for payment purposes. Engagement. We collect browsing information – such as IP address and location, date and time stamp, user agent, Transcription Discussion Board cookie ID (if applicable), URL, unique advertising or content identifiers (if applicable), and time zone, and other information about user activities on the Transcription Discussion Board Platform, as well as on third party sites and services that have embedded our Transcription Discussion Board pixels (“Pixels”), widgets, plugins, buttons, or related services. We may also receive information about you from third parties, such as other users, partners (including ad partners), or our affiliated companies. Provide our Services. 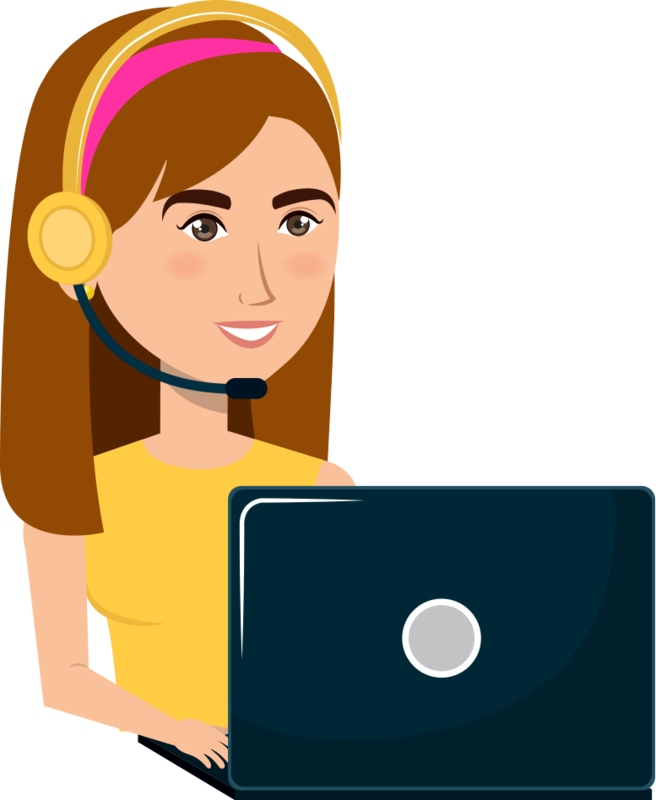 To provide you the services we offer on the Transcription Discussion Board Platform, we communicate with you about your use of the Transcription Discussion Board Platform, respond to your inquiries, provide troubleshooting, and for other customer service purposes. Personalization. To tailor the content and information that we may send or display to you in the Transcription Discussion Board Platform, to suggest content, to offer location customization, and personalized help and instructions, and to otherwise personalize your experiences while using the Transcription Discussion Board Platform. Analytics. To gather metrics to better understand how users access and use the Transcription Discussion Board Platform; to evaluate and improve the Transcription Discussion Board Platform, including the development of new products and services. Service Providers. We may share your information with third party service providers who use this information to perform services for us, such as payment processors, hosting providers, auditors, advisors, consultants, customer service, and support providers. Protection of Rights. We may disclose information, where we believe it necessary to respond to claims, asserted against us or, comply with legal process (e.g., subpoenas or warrants), enforce or administer our agreements and terms, for fraud prevention, risk assessment, investigation, and protect the rights, property or safety of Transcription Discussion Board, its users, or others. Your Content and Activity. Your Content, including your name, profile picture, profile information, and certain associated activity information is available to other users of the Transcription Discussion Board Platform and may be viewed publicly. Public viewing includes availability to non-registered visitors and can occur when users share Your Content across other sites or services. In addition, Your Content may be indexed by search engines. See the section below about Your Choices for information about how you may change how certain information is shared or viewed by others. Cookies. These are small files with a unique identifier that are transferred to your browser through our websites. They allow us to remember users who are logged in, to understand how users navigate through and use the Transcription Discussion Board Platform, and to display personalized content and targeted ads (including on third-party sites and applications). Pixels, web beacons, clear GIFs. These are tiny graphics with a unique identifier, similar in function to cookies, which we use to track the online movements of users of the Transcription Discussion Board Platform and to personalize content. We also use these in our emails to let us know when they have been opened or forwarded, so we can gauge the effectiveness of our communications. Analytics Tools. We may use internal and third-party analytics tools, including Google Analytics. The third-party analytics companies we work with may combine the information collected with other information they have independently collected from other websites and/or other online products and services. Their collection and use of information are subject to their own privacy policies. Do-Not-Track Signals. Please note we do not change system behavior within the Transcription Discussion Board Platform in response to browser requests not to be tracked. You may, however, disable certain tracking by third-parties as discussed in the Transcription Discussion Board Ads and Personalization section below. You may also opt out of tracking by Transcription Discussion Board Pixels, as described below in Transcription Discussion Board Ads and Personalization. The security of your information is important to us. Transcription Discussion Board has implemented safeguards to protect the information we collect. However, no website or Internet transmission is completely secure. We urge you to take steps to keep your personal information safe, such as choosing a strong password and keeping it private, as well as logging out of your user account, and closing your web browser when finished using the Transcription Discussion Board Platform on a shared or unsecured device. You may update or correct your account information at any time by logging in to your account. You may also make a number of other adjustments to settings or the display of information about you as described in more detail in the following section, Your Choices. Your Content. You may edit the answers that you post at any time. Any questions you have posted may remain on the Transcription Discussion Board Platform and be edited by you. Any deleted content will be removed from third party sites from which it has been shared via Transcription Discussion Board’s standard sharing features; however, we have no control over deletions or changes to Your Content if it has been shared manually by others. When you make edits to Your Content, other users will be able to see the history of those edits in your profile activity and on content edit logs. Emails and Communications. When you join the Transcription Discussion Board Platform by signing up for an account or creating a profile, as part of the service, you will receive the Transcription Discussion Board Digest containing content that we believe may match your interests. You can manage your email and notice preferences in your account profile settings, under your Emails and Notifications settings. If you opt out of receiving emails about recommendations or other information we think may interest you, we may still send you transactional e-mails about your account or any services you have requested or received from us. Third parties may comment on your postings within the Transcription Discussion Board Platform. Interests. You can change interests that you follow or that your profile lists as areas that you have knowledge about. Credentials. You can change your credentials that are displayed in your profile or in connection with a specific answer. Indexed Search. In your privacy settings, you can control whether your profile and name is indexed by search engines. Changes to privacy settings may only apply on a going-forward basis; for example, your name (e.g., answers and profile) that has already been indexed by search engines may remain indexed for a period of time even after you have turned off indexing, as implementing this change is outside of our control. Deleted or Deactivated Account. If you choose to Delete Your Account in your privacy settings, then all of Your Content will be removed from public visibility on the Transcription Discussion Board Platform, and it may not be restored by us, even if you change your mind. If you choose to Deactivate Your Account, then you will no longer receive any communications from us, and users will not be able to interact with you; however, Your Content will remain on the Transcription Discussion Board Platform. Once you deactivate your account, you can reactivate it any time by choosing to log in. Linked Networks. You may connect or disconnect your Linked Networks, such as Facebook, through the Account Settings tab in your profile settings, and you may access, amend and delete much of your profile information through your profile settings. Once you disconnect a Linked Network, we will not receive information from that Linked Network going forward; unless you choose to reconnect it. We do not knowingly collect or solicit personal information from anyone under the age of 13 (or under the age of 14 for anyone living in Spain or South Korea) or knowingly allow such persons to register. If we become aware that we have collected personal information from a child under the relevant age without parental consent, we take steps to delete that information.